This prefabricated hut was the first ever man-made structure built in Antarctica built at what was already a historic site in Antarctica even in 1899. Cape Adare was first discovered by James Clark Ross in 1841 and was the site of the first landing in Antarctica on the 24th of January 1895 by the crew of the Antarctic, a whaling ship. The two huts are 5.5 x 6.5 metres, one was the living quarters and the other used for storage. 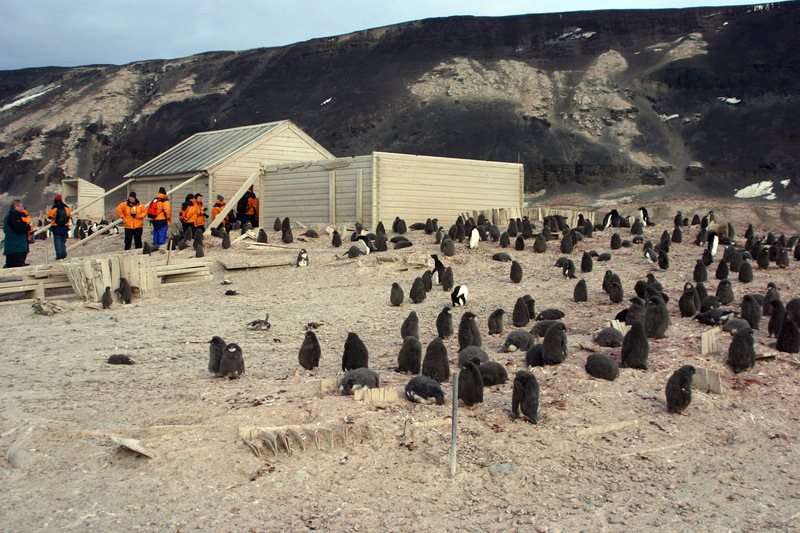 10 men overwintered in the first deliberate event of its kind on a hut on the Antarctic Continent - previous overwinterings had been on board ships and not always planned. The ship left the wintering party of ten men in the huts for the winter returning the following summer. The winter was difficult for a number of reasons, but it was the first Antarctic Winter where men had spent the time in the manner that was to become the pattern from that point onwards up to the present day.